Liam Gallagher: Noel's "Worse Than Donald Trump"
The former Oasis frontman suggested his brother should have won Villian Of The Year at the NME Awards, and compared him to Kim Jong-un. Liam Gallagher has said his brother is worse than the leader of North Korea and the US President. Speaking to the Daily Mail on the red carpet ahead of the VO5 NME Awards, when asked who was his villain of the year, he replied: “Gotta be Noel. Liam Gallagher accepted the Godlike Genius award at the awards ceremony last night (14 February). 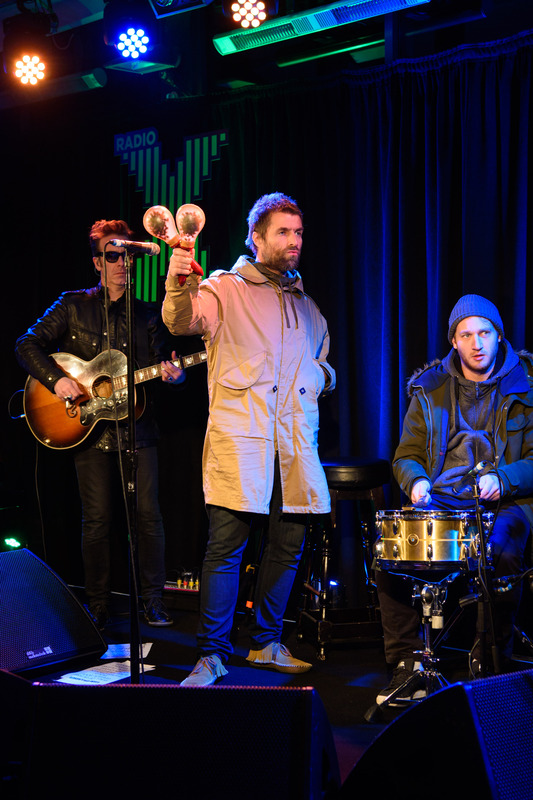 Meanwhile, the former Oasis frontman played an intimate acoustic gig on Radio X's rooftop this Monday (12 February). The Mancunian rocker treated a tiny audience at our Leicester Square HQ to an acoustic set of solo tracks and even some classic Oasis hits. Find out how you can listen to the full rooftop show and more on Radio X this Sunday (18 February).